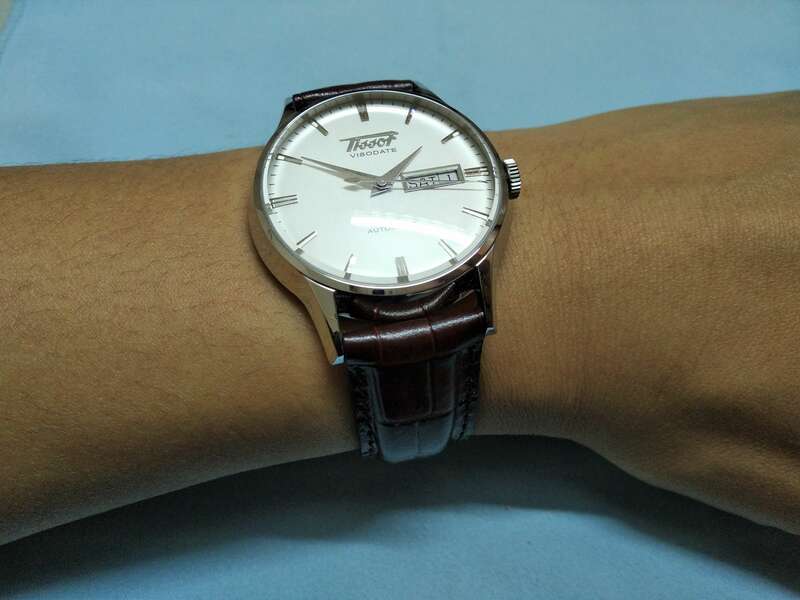 In this post, I’m going to write about Tissot Visodate review, a watch that I had for some time now. 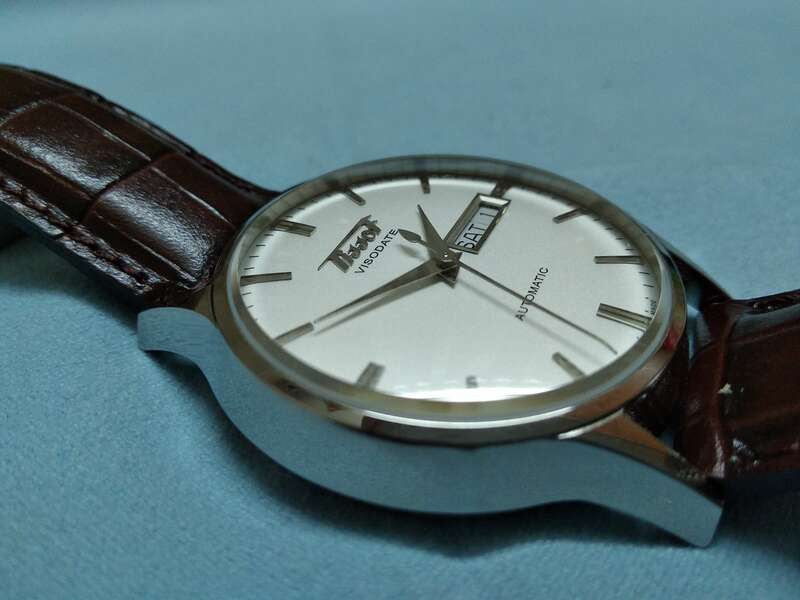 Among Tissot men’s watch, the Visodate model is among the most popular, for a number of reasons. 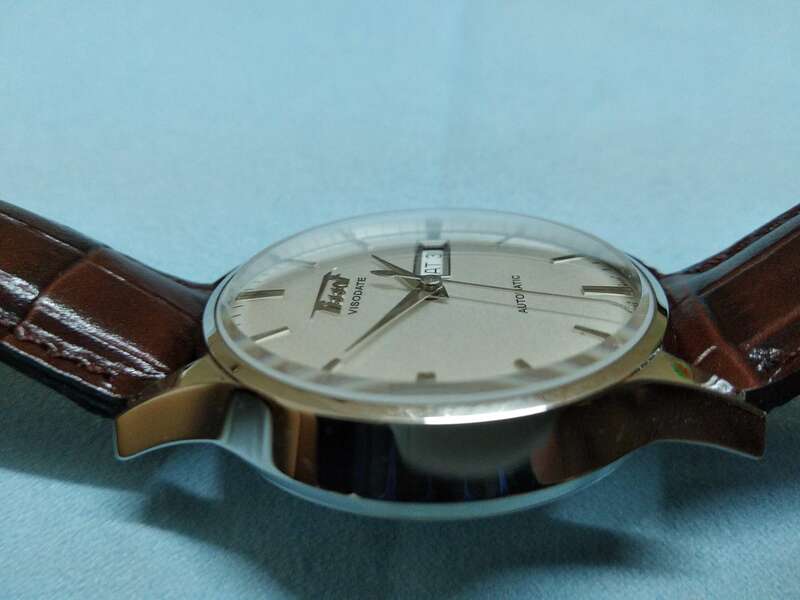 It brought forth Tissot’s classical styling, with the old fashioned logo/signature. In addition, it’s one seriously good looking watch with domed sapphire crystal. Not to mention it’s an affordable automatic watch (it is among the cheapest of Tissot’s automatic watches). I sincerely believe every guy need to have a dress watch. And every guy need to own at least one Swiss watch. Prior to buying the Tissot Visodate, my personal collection is filled with Japanese watches (Seiko, Orient, Casio). And it’s predominantly dive or sports watches. It was then when I learned more about horology that I found the world of watches is more than just the Japanese. They are very good value for money, but one can’t say he is a watch enthusiast without a Swiss in his collection. Around the same time, I find I’m lacking in dress watch – the beautiful watch that is the ONLY one you’ll wear for a formal events. I was invited to my friend’s wedding at one time and while I’ve got the whole thing correct (jacket, belt, bally shoes, etc. ), I realized I lack one thing – a dress watch! So with those two reasons (needed a dress watch for my friend’s wedding + needed to own a Swiss watch), I scoured the internet for a suitable watch. I stumbled upon the Visodate by chance, while scrolling through some threads on WUS. It blew my mind away, not just because of how good it looks, but also because how affordable it is. In fact, I dare say it’s one of the most affordable Swiss watches around. I read some more reviews, and was completely sold on it. Placed my order for the watch and voila! My new Swiss dress watch arrives in time for my friend’s wedding. What’s My Verdict Of The Visodate? Beautiful! It’s one of the most beautiful watch that I’ve owned! The delicate creamy white dial is a pleasure to look at. It’s highly polished case is a wonder. I’m totally in love with the domed sapphire crystal. So majestic! The 40 mm diameter size is also a bit on the classic sizing which I absolutely dig. If you want a stylish dress watch WITH automatic movement AND Swiss made, I can’t recommend any other watch. The Tissot Visodate is the one to get. 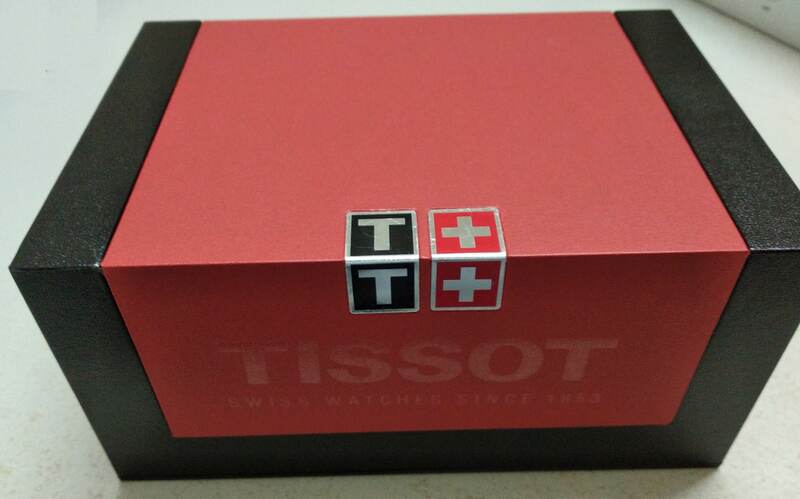 I really like the box of Tissot watches with the big bulky dimension. It looks great and exclusive in my opinion – a great way to welcome its owners. It’s very hard not to fall in love with this wrist watch at first glance. It has a white silver dial, which is complemented perfectly by the silver stainless steel case. The stainless steel index markers and dauphine hands also added to the exquisiteness of this watch. The applied markers and hands are not illuminated and looks very sharp with pointy edges showing precision in craftsmanship – which is something that I totally love. The choice of silver markers and hands on a white dial is not the best in terms of legibility. But you can’t deny how seriously good looking the watch is with this combo. The Tissot Visodate uses a clear white dial with silver markers and hands – to accomplish a really stylish dress watch. The use of applied markers make the dial more impressive to look at. It also does not have anything too fancy on it. 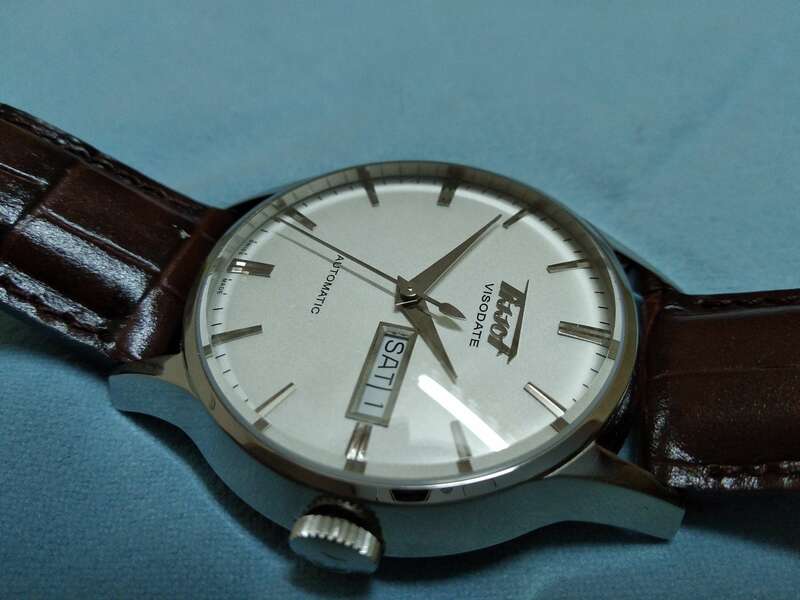 On the dial is just the Tissot logo, “Visodate” and “Automatic” signature. There is also the very convenient day and date display, and that’s it. Very clean, simple dial and yet it looks so stunning. The phrase “less is more” is totally applicable here. You’ll also notice the signature of Tissot is a bit unsual. 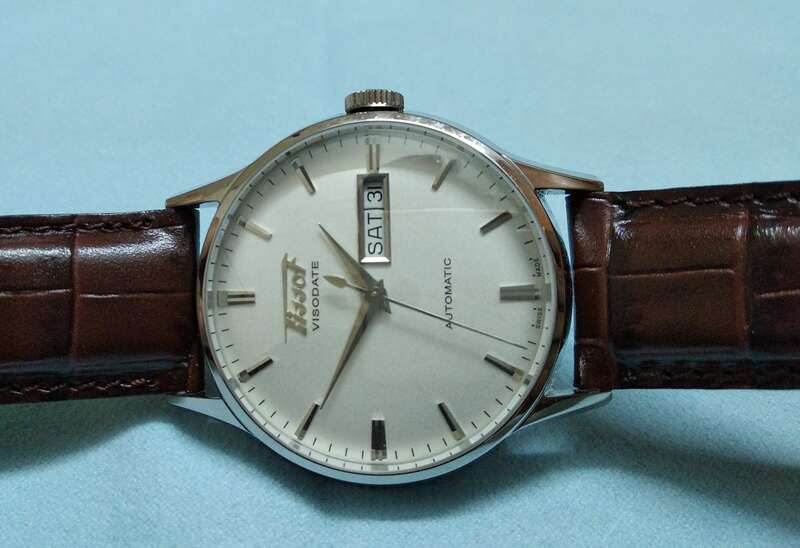 Actually, this watch uses the older Tissot logo because it’s an incarnation of the previous generation Visodate watches by Tissot, made in 1950s. That’s why you’ll see some retro design elements in the watch (but with modern styling too of course). This watch is actually a homage to their famous Visodate model from the 1950s. It is their first model to feature a date function on their watches. The function first emerged from Rolex with their Datejust model, so Tissot like many other Swiss watchmakers are catching up to that new technology. Homage watches is certainly a good idea as it enables the current generation to own an updated version of a popular watch from previous decades. I’ve featured some homage watches such as the Hamilton Intra Matic , Hamilton Khaki King and the Victorinox Infantry Vintage. They all have that vintage style but with some update to cater to the younger generation’s taste. 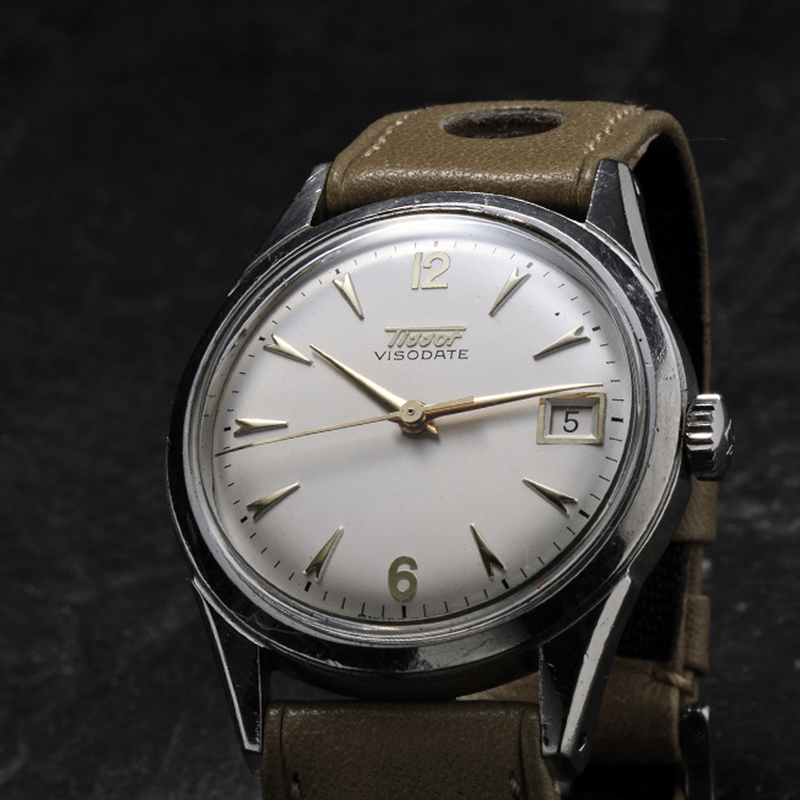 This Tissot Visodate automatic watch is no different. As you can see, the designer takes the dial design from their 1950s model. The watch got that round white dial and the clean simple dial. But they changed the index and hands to give the watch a sharper and cooler look. The addition of day function is a very nice touch as I’ve always love watches with day and date. The Visodate continues the legacy with its retro styling – and I can say with certainty that’s one of the biggest selling point of this watch! A closer look on the dial. Notice how the Tissot logo is different than the modern logo. No need to take a look at your smartphone to know what day/date today is anymore. A glance at your wrist is all you need =). This watch is also bigger, at 40 mm diameter with 11.6 mm thickness. The vintage one got a smaller diameter, around 36-38 mm I think. The trend now is for bigger watch and I like how Tissot make it bigger, but not too big. 40 mm diameter is perfect on my wrist btw (though it will vary from people to people). There is almost no bezel on the watch, thus making the watch looks much bigger than it actually is. The case of the Tissot Visodate is stainless steel that is polished all around. The highly polished case complements perfectly with the white dial, silver hands/markers and the domed crystal (more on that later). The result? A stunningly beautiful watch that just shines whenever you look at it. It’s truly is an outstanding sight! Some of my friends say the watch is a bit hard to tell time with, which I don’t really agree as I never had that problem. Delicate and stylish – this is one of the best automatic dress watches around. The Tissot Visodate’s highly polished case shines brightly and complementing its white dial. Beautiful! If you look closely, you’ll see that the second hand is curving down a bit at the tip – presumably to be in line with the domed sapphire crystal. The Visodate has an interesting case design with slightly tapered down from the top, giving the look of a triangular or some sort. The tapering is very sublime, in fact it’s quite hard to get this on photo! You might be able to catch a glimpse of this from the top photos. I really dig this because it’s very different than what the other watches have. It is also quite slim, at just 11.6 mm thickness. Not the slimmest watch in the market (well, automatics are infamous for being tall) but in my case, there’s no problem to tug it inside my cuff. Lug to lug width is 46 mm – a typical size for current modern watches. Without a doubt, it’s very wearable even with small wrists. The leather strap comes with butterfly clasp without buckle which helps to ensure its longevity. Just be sure to take it off wrist gently as the claps didn’t come with push button (it needs to be manually pulled to open). A calfskin leather strap with butterfly clasp comes with the watch. 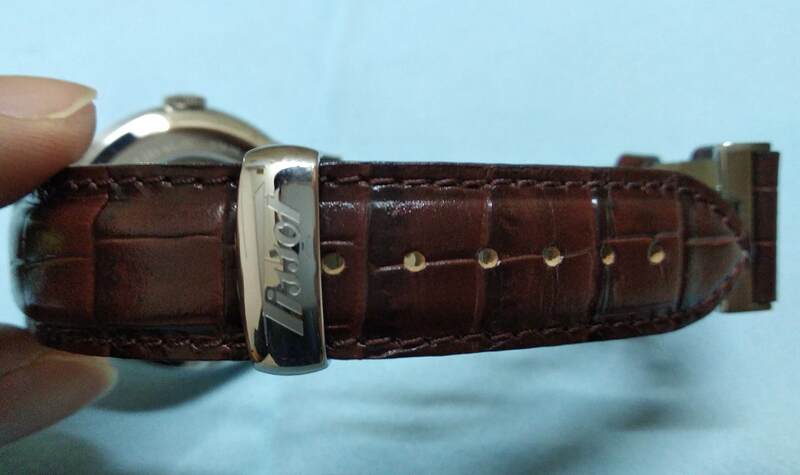 The clasp has Tissot’s logo on top of it. There’s no push button for the clasp – which is a real downer though. The 20 mm width lug is curved a bit to better hold the wrist and reduce any gap between the wrist and the lug. On the crown at 3 o’clock, there is the “T” engraving on it. Another unique feature of this Tissot Visodate is the curved sapphire glass dial window. As you can see on the pictures, the curved sapphire glass is very visible from the side. 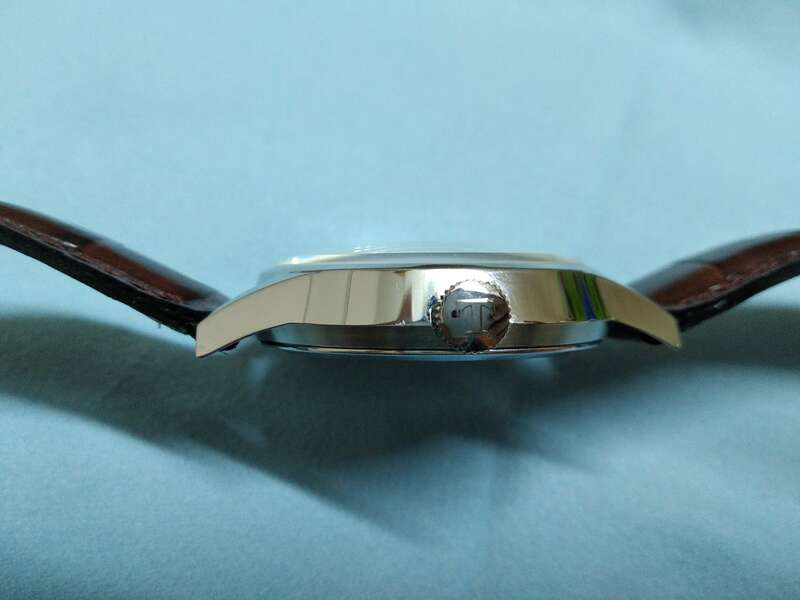 It gives the watch a nice look from the sides as the watch will appear to be curved, instead of the usual flat watches. I really love this design as it makes the watch very unique and interesting. Not to mention it looks very stylish too! There’s a concern that since it is curved, the dial window will be at the top and unprotected from any scratch or impact. But I don’t think it will be scratched as sapphire is a very scratch resistant material. But a very high impact will surely break it and I highly recommend that the watch is only used for normal indoor activities and not outdoor activities. The domed sapphire crystal from a different angle that will show it more clearly. It looks gorgeous, unique and easily is another reason why I love this watch so much! One small flaw of the dial window is there is no anti-reflective coating on it, again to keep the costs down. But even without the anti-reflective coating, I’ve never had any problem with glare while looking at the watch. In fact, it was the silver markers and hands that give a small legibility problem as it don’t have much contrast with the white dial (though it absolutely look stunning!). Inside the watch is the ETA Cal. 2836-2 movement, a sister movement to the venerable ETA 2824-2 that is used in many Swatch Group’s watch brands such as the Tissot Le Locle. The difference between the 2836 and the 2824 is the addition of the day function in the 2836, and some minor structural differences. But in general, both ETAs are regarded as similar and function exactly the same. The movement has a 28800 vibrations per hour or 8 beats per second which will theoretically give it a smoother sweeping second hand compared to Japanese autos (though it’s only minimal I can say). The movement has 25 jewels in its construction that can be seen through it’s exhibition caseback. As with any modern automatic watch, it has hacking feature to set the time perfectly. The hacking feature will stop the second hand when the crown is pulled out to set the time. In addition to that, it also has self-winding feature to fill up the power reserve in the mainspring barrel by rotating the crown manually. Just be sure to not do this everyday as ETAs are generally not designed for frequent self-winding. In terms of winding and operating the movement, all I can say is the feeling is quite different than Japanese movements. Winding the ETA makes a high pitch screeching sound while winding a 6R15 from Seiko will produce a sound just like when we rotate a gear in a wooden car toy. Not really sure about you, but I do feel the 6R15 is more naturally sound (like turning a gear!) and less annoying than the high pitch screeching sound. One thing that I absolutely love about the ETA is how the day and date window changes at exactly 12:00. The 6R15, on the other hand, will change its date gradually from 10 pm onward, which is quite typical for an automatic watch. In my opinion, the abrupt change of the day/date in the ETA is much nicer compared to that as we don’t have to look at a half date during the transition period. 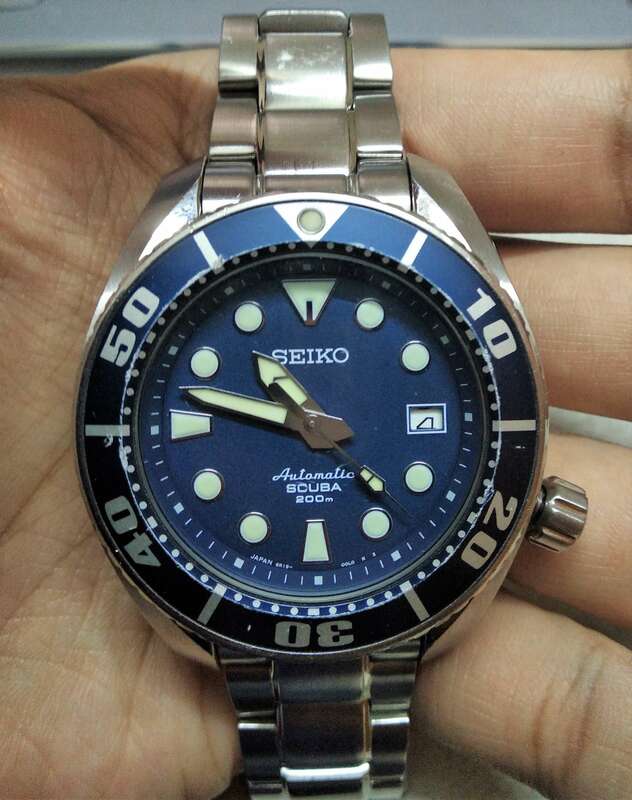 Below is a picture of my Seiko Sumo showing just that…. The power reserve is a modest 38 hours, which I admit, is not much. What I always recommend is to use the same automatic watch for a few days at a time, instead of picking a different watch every single day. That way, the power reserve in the watch is filled by the everyday usage – just like how it was designed to be used centuries ago! Since the movement inside is the base level movement of the ETA 2836-2, it only has an accuracy of +/- 15 seconds per day. But in my experience, this accuracy is usually beaten with the watch registering greater accuracy. The Visodate also has an exhibition caseback where you can take a peek at the ETA Cal. 2836-2 movement. At the entry level price the watch is in, we can’t really expect elaborate decoration on the movement. 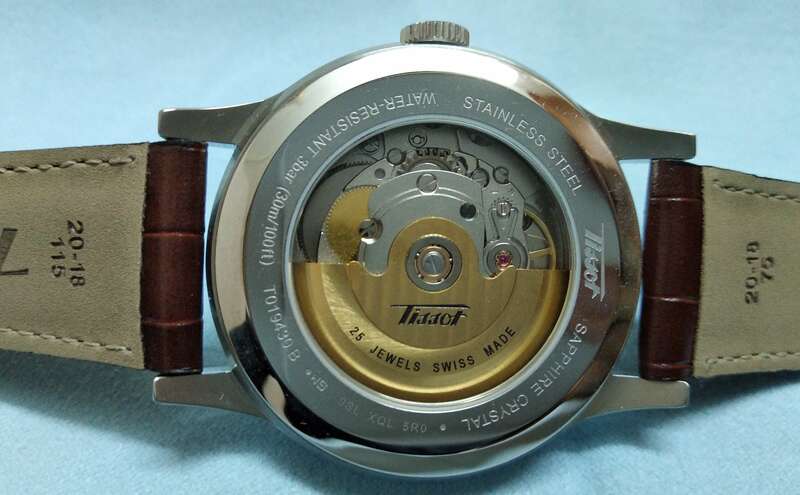 But it was clear that Tissot had made an effort in trying to make the movement pleasant and presentable to its owners. We can see the rotor and some wheels are plated with gold color, a nice contrast with the other parts that are silver in color. 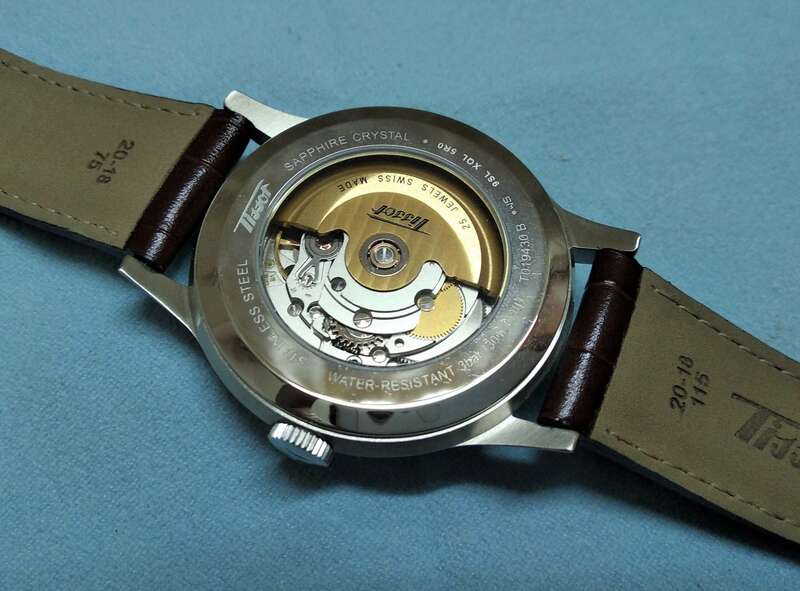 We can also see some engraving on top of the rotor with Tissot’s signature on it. The movement is decorated, albeit minimally – befitting its entry-price level. Personally, I love the gold plated rotor and gear wheels. It complements beautifully the silver colored parts in the movement. I’ve listed all the pros and cons below for your easy reference. 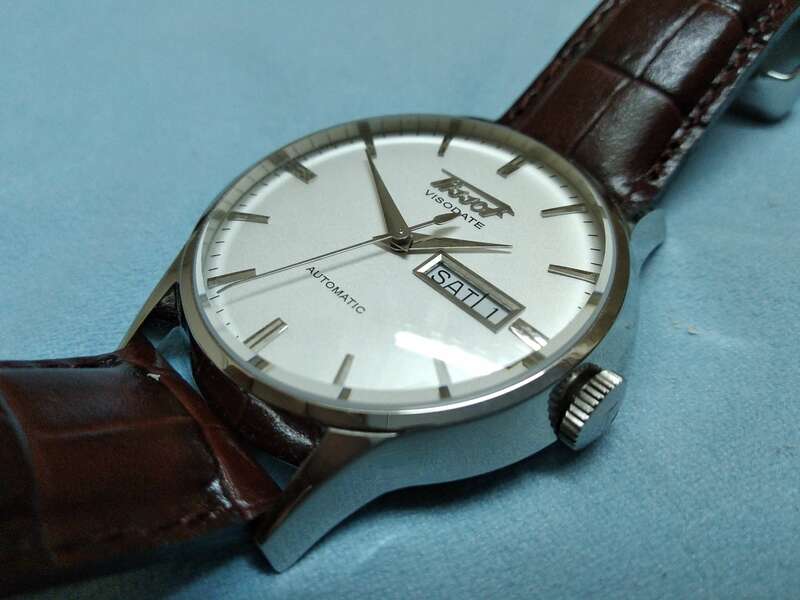 Wanting To Buy Tissot Visodate Automatic? Buy It From Amazon! 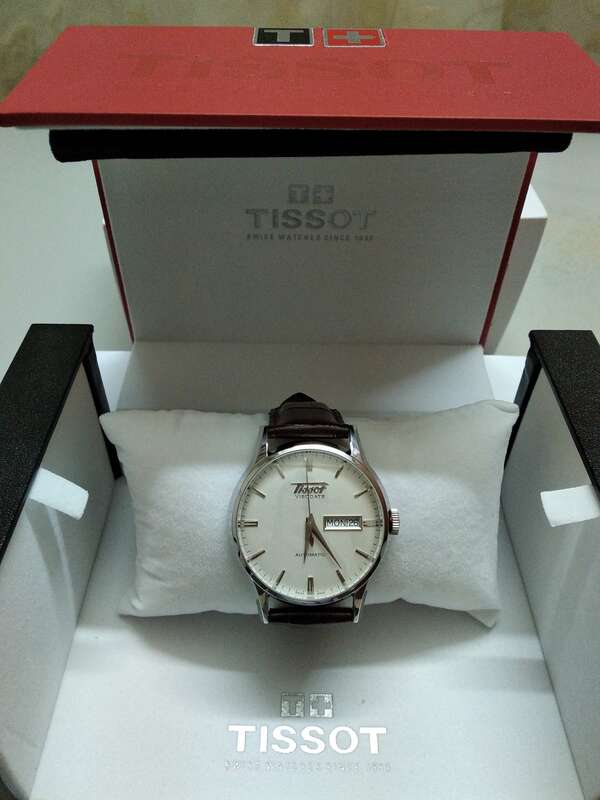 I get my Visodate from Tissot’s boutique – frankly a big mistake as it costs me about $550. When I check the watch online, I consistently find the watch retailing for way less than that! 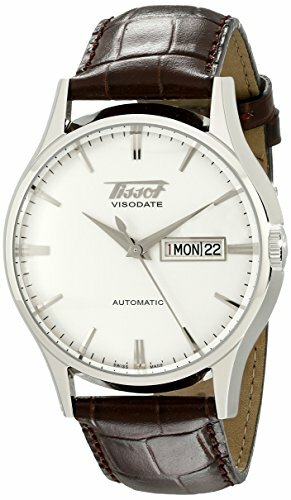 If you are looking to get your hands on the Tissot Visodate automatic watch, check out Amazon where you can usually get the watch at an amazing offer. Click the link below to go to Amazon for more details. The new Tissot Visodate has captured the essence of its 1950s Visodate model perfectly, with modern update to cater to the new age’s taste. A subtle looking, simple and clean dial design has proven to be evergreen. It is well loved in the 1950s and it still is 60 years after. I really love the domed sapphire crystal and simple design. It looks sleek and stylish! With a trusted ETA 2836-2 movement that comes with a very convenient day and date features, the watch comes with robust and well-regarded movement in the industry. Not to mention, it is very affordable too – for a totally Swiss Made automatic watch. Without a doubt, it is the perfect choice for those just starting out in automatic watches and would like to own their first Swiss automatic. 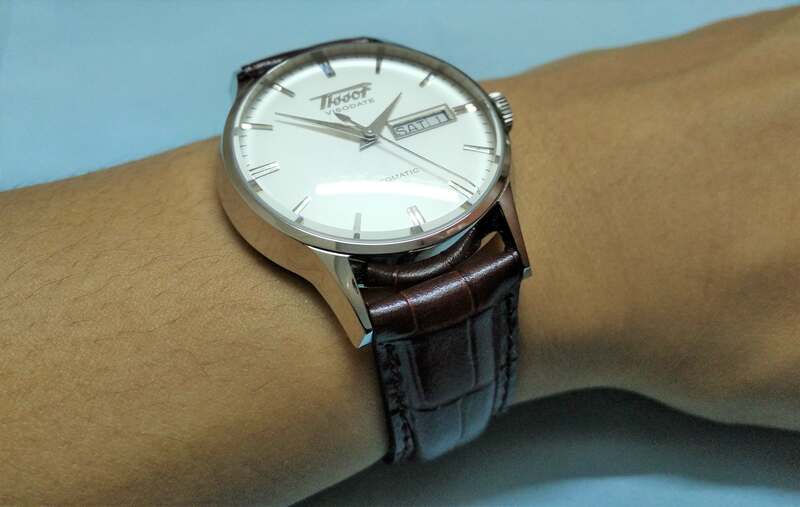 I hope this Tissot Visodate review has helped you gain some information on this beautiful watch. Drop your comments below if you already own this and would like to share what are your thoughts about it. Feel free to ask question too. I’ll be really glad to help as much as I can. 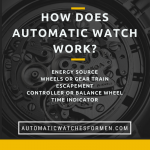 Next Post: How Does Automatic Watch Work? Hi John. Thanks for the compliment. I was also astonished by that small detail.. Who can predict that Tissot would go to that extent even for their lower end watches right? Very informative and well presented. 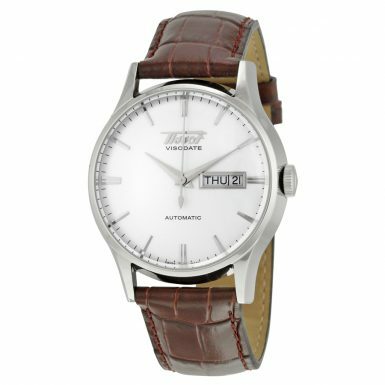 Tissot watches are really a special type of watches which are unique and having a site like yours helps appreciate the value you get when you buy such a unique watch. It is interesting that you are referring your customer to look at their wrist to see the date and time instead of looking at the smartphone! When smart phone came out…it was “uncool” to have a wrist watch to look at! I personally always liked wrist watches, they are useful and a beautiful piece of jewelry too! It was from my own experience that I found having a watch is miles better than only relying on our smartphones. A quick flick of the wrist will let us know what time it is now as opposed to having to take out our phone, activate its screen etc etc. Beautiful automatic watches on your website you shared today, very elegant looking great for business or casual wear. 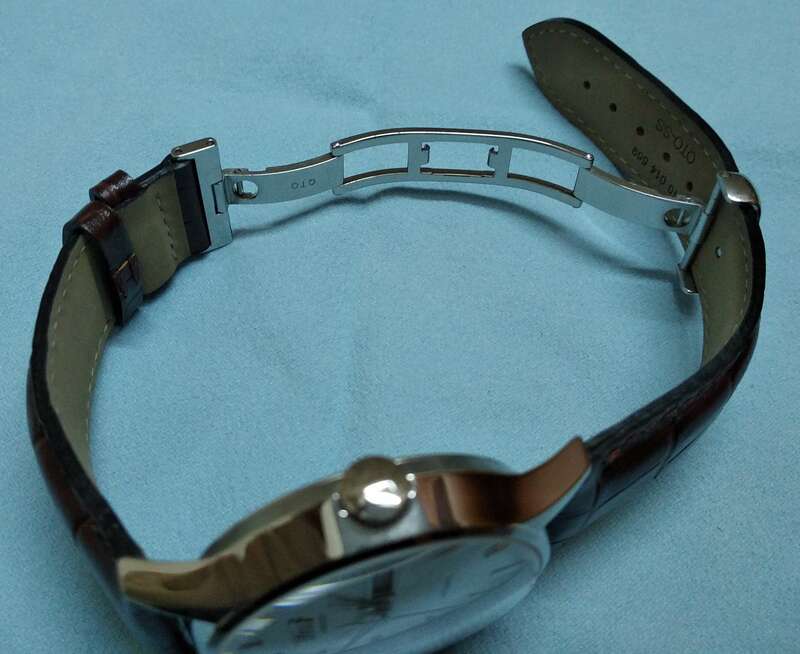 How durable are these watches, I am hard on watches and I would not wish to invest in one which costs very much if it is not going to last to give me my money’s worth? My dad has been looking for this watch for the longest and couldn’t seem to find it anywhere. I like how you broke down all the features of this watch and made more than just a watch. I feel like I’m an expert in watches after reading this. Thank you and keep up the good work I will be sure to share. A very nice selection of watches. I’m in the market for a new dress watch. Been wearing more “tactical” looking watches the past ten years or more. My wife has been on my case to get something that will fit in with wearing of business suits. I’m going to send her to your page and tell her my “birthday” is coming up… She can’t go wrong here. Great review on an attractive watch.. I appreciate the table you provided with the comparison between others… my husband is a bit of a watch fanatic… I’m always looking for the newest and greatest ones out there. 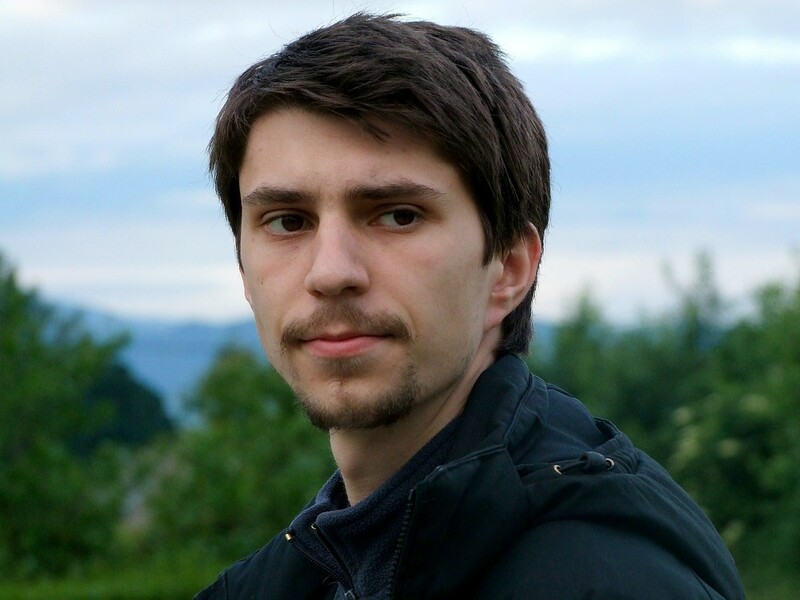 This one looks very classy, and helps a lot… thanks so much for sharing! Very nice watches you have on your website, I have not been able to wear a watch ever very well. My wrists are extremely small for a guy and all the men’s watch bands are always too large for my wrists. Do you have any recommendations how to solve this problem, this has kept me from taking advantage of great deals on hot looking watches online. Hi Jeffrey. I believe the only solution is to either use a metal bracelet or other non-traditional straps/bands such as Nato, Zulu and Perlon (you can read more about various styles of watch strap here). Metal bracelets can be adjusted by removing the links to fit your watch perfectly. If you have small wrist, then a President bracelet is a good choice as its links are shorter than the typical oyster bracelet. Non-traditional straps such as Nato, Zulu and Perlon all does not use the normal pin buckle closure. You can always adjust the strap to snug your wrist comfortably. But do buy the shortest version of those straps instead of the longer ones. Great article, I’ve found it absorbing! The Tissot Visodate look absolutely awesome. I can’t wait to show him this watch! I am sure he will love it! Hi Daniella. Yes, I do agree that most Seiko watches are not dressy enough but if you have the time, you might want to check out these gorgeous dress watches by Seiko (SARB033, SARB035 and SARB065 Cocktail Time). The watch is a symbol of a man taste. You are really a watch expert.It is hard to find the budget and good leather watch for men now.I found the Gearbest leather watch for men, it is good and new. What is your idea? I went for the Visodate with the cream face – I was torn between that and a Tissot with an 80 hour power reserve; it was substantially more expensive, though. Hi Richard. The Visodate is a nice choice too. I think you are referring to the Powermatic 80 series by Tissot. They do have 80 hours power reserve which is more than what our typical ETA 2824/2834 can give. But if it can makes you feel better, the Powermatic 80 movement only has 6 beats per second – not so smooth sweeping seconds hand. Thanks for your kind words Richard! Thanks Isaac, you really know your stuff. I am looking for a nice watch for my brother but my budget is only $150-$200. I realize that the quality of the watches in this review are top end but I really need some advice on buying a watch a little bit lower priced. My brother would like this 1950’s look, do you have any ideas for me? Thanks, Steve. Hi Steve. Unfortunately most Swiss automatic watches will start well above your budget (above $300). Fortunately there are some nice Swiss quartz watches which can be had for around that price. (if in doubt, read my comparison about automatic and quartz watches here for more info). 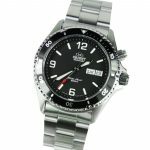 But if you want a true automatic watch with retro look, then the best watch that fits your budget are the Orient Bambino and Symphony. Both are around your budget and features Orient own in-house automatic movement. Let me know if you need more advice buddy. 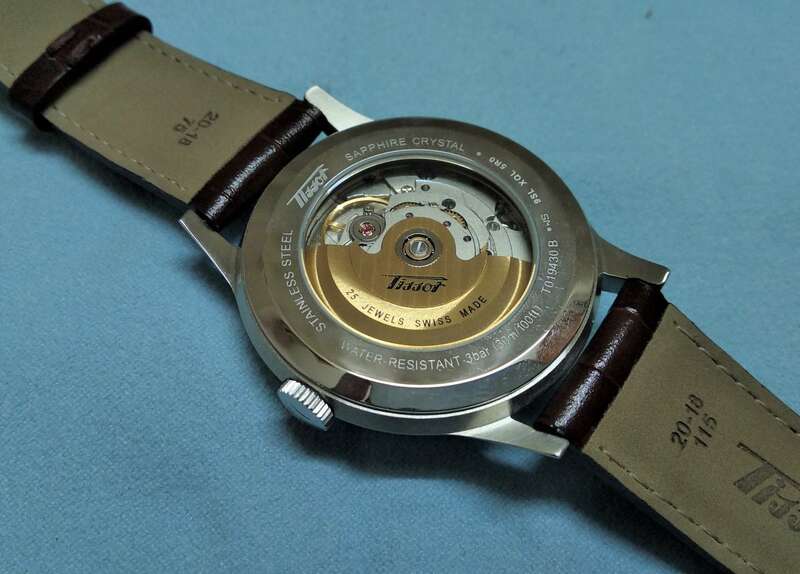 That is a very good article with all the information needed to buy the tissot visodate watch. I really liked the table you have included comparing the two different Brands. Tissot and Seiko. 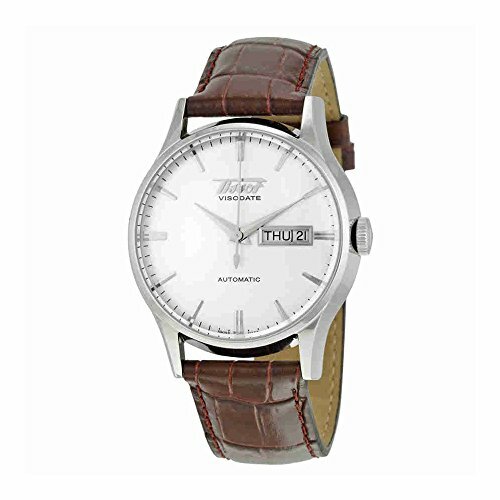 I bought my husband in his birthday a Seiko watch but I strongly believe that Tissot watch is an excellent choice as well. Hi Kiki. Thanks for visiting my site. Boy I bet your husband must be very happy to get that present! Yes, Tissot is a really good brand. It’s Swiss made, has a huge legacy in the wachmaking industry (they have been around for more than a century) and much more affordable than other Swiss brands. Based on the four watches, I would go for Seiko SARB033 because of its contemporary look. Despite my preference, I never rule out on other watches because each of them has its own extra factor, like the classy elegance of Visodate or the neat leather based Seiko Cocktail Time. Quite a dilemma for beginners like me. So the watch that I needed was a cheap and durable watch so that I wont regret damaging a pretty and expensive watch. I also needed a high water resistance watch since I’ve started swimming again. Based on these factors, I’ve decided to buy a cheapo Seiko 5 World Time (you can see it on my about page). But from then on, I’ve bought other watches mainly for different occasions (dress watch, chrono, etc.) and just because I like them lol. Thus, my recommendation to you is to think of what kind of watch you need at this point of time. 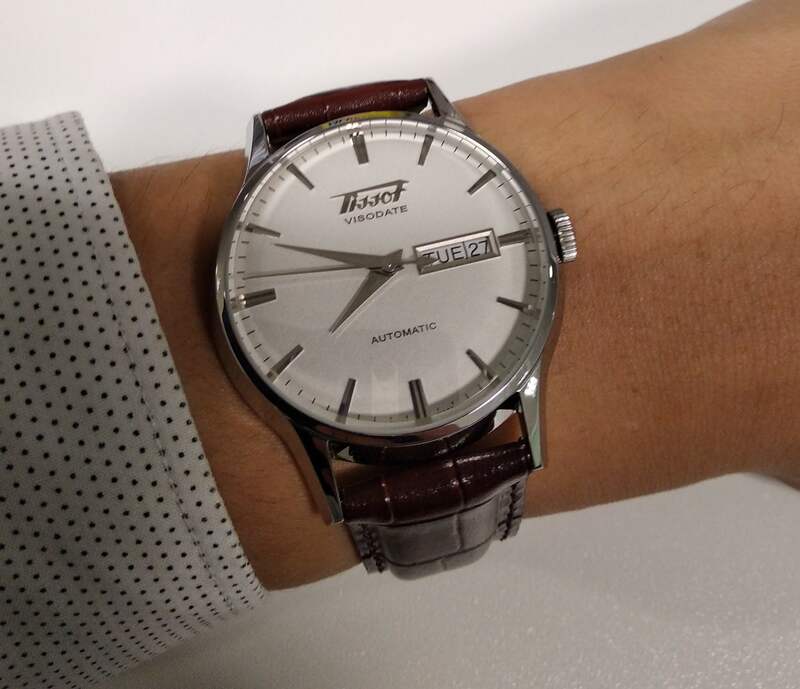 In my opinion, the Seiko Cocktail Time is a bit too dressy while the Tissot Visodate is less dressy and can be used for casual events. If your intention is to get a watch to go to work or casual, then I’d strongly suggest the Visodate. Read my guide page on things to consider before buying your watch for more information. Hope you can free yourself of this dilemma =) . You can ask me if you need more explanation buddy. Hi there, this is a great post and a really good review about these really nice looking watches. I love that you have added an easy to read table to compare each watch because you have really given a lot of information here. It has to be the Seiko for me. Hi Paula. Thanks for visiting by. I’m just sharing what I know with other people so that they can make an informed decision.